Register Log In GliderCENTRAL Forums Diet & Nutrition Thank You Peggy Brewer!!!! 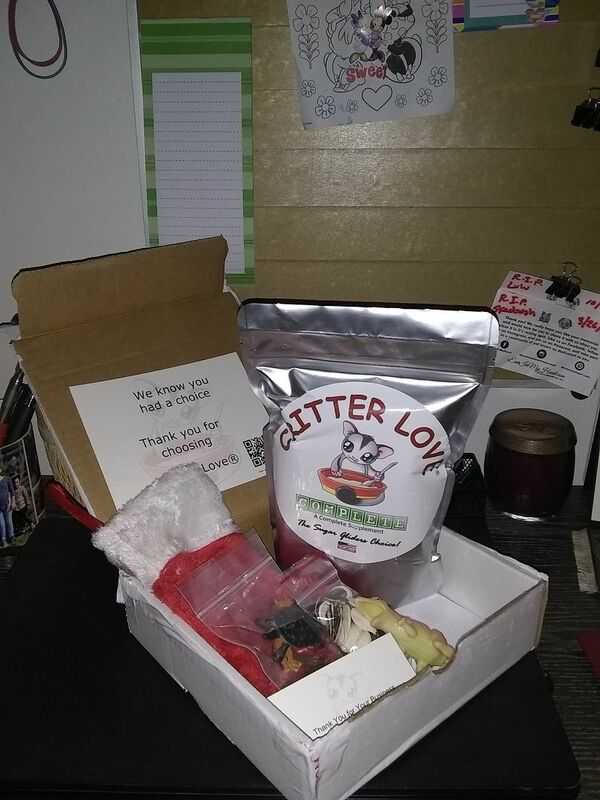 I just had to log in to give a big shout out of thanks to Peggy Brewer of Critter Love!!!! Thank you so very much for the Christmas stocking, stocked with all the goodies for my Ollie!!!! Also, thanks again for all your time invested to provide healthy meals for our loved suggies!!!!! Christmas stocking full of toys and treats (Dinosaur, bag of animals, and a bag of pumpkin and sunflower seeds). Ollie is a lucky boy! Thanks so much for the post, Terry.